I, as a member of or a participant in activities sponsored by the Friends of the Middlesex Fells, understand the work that I have volunteered to do and I hereby state that I am qualified and physically capable of accomplishing the work and activities for which I have volunteered, and that I will perform them as directed by a properly authorized supervisor. I agree to comply with all DCR rules and regulations. 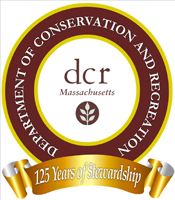 I hereby release the Commonwealth of Massachusetts, the Department of Conservation and Recreation (DCR) and the Friends of the Middlesex Fells (FOF), their employees and agents, from all claims, loss, damage, expenses and/or injuries, whether to person or to property, which may result from my actions while participating in volunteer projects approved or sponsored by DCR and/or FOF. I further agree to indemnify, defend and hold harmless the Commonwealth of Massachusetts, DCR and FOF, their employees and agents, from liability for any damage or injuries resulting from my actions while participating in volunteer programs and any project approved or sponsored by DCR and/or FOF. I acknowledge that, by participating in such volunteer programs and projects, I have not received an appointment to state service and I will not receive a salary or payment from the Commonwealth. As such, I understand that I am not entitled to Workers Compensation for any injury suffered while involved in volunteer work or projects for the Department and, further, that I will provide my own health insurance. I recognize that M.G.L. c. 21 s17G provides that, pursuant to the provisions, requirements and limitations of M.G.L. c. 258 and the guidelines adopted by DCR, I shall not be liable for injury or loss of property or personal injury or death caused by my negligent or wrongful act or omission while acting within the scope of my volunteer activities. However, I acknowledge that I will not be indemnified under M.G.L. c. 258 s.9 for intentional torts or for the violation of a person’s civil rights.